Microsoft today announced new end-to-end security features in Windows 10. The new security features will come with Fall Creators Update. 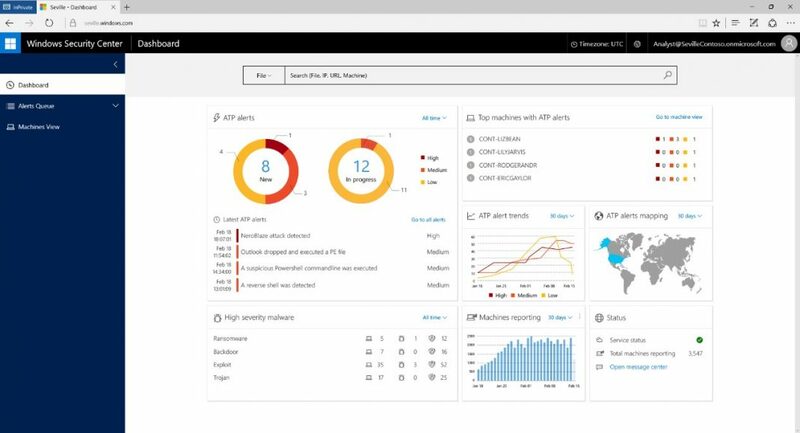 Windows Defender Advanced Threat Protection (ATP) will include integration across the entire Windows threat protection stack to protect, detect and respond to rich, centralized management. In addition, Windows Defender ATP now works with Windows Server OS to protect customers across platforms. New features and capabilities in the suite include Windows Defender Exploit Guard, Windows Defender Application Guard and substantial updates to Windows Defender Device Guard and Windows Defender Antivirus. Our goal is to ensure customer safety as the security threat landscape continues to grow increasingly more sophisticated and adversaries are more successful at impacting the bottom line. New security features in the Windows 10 Fall Creators Update allows us to be more front footed and make life harder for the bad guys. When considering the rapid pace new cyber threats are released in the wild, we agree that the industry could do better. That’s why we have developed a highly differentiated vision that brings together advanced data science, machine learning, automation, and behavioral analysis capable of blocking the types of malware and advanced attacks all in one place. Windows 10 Fall Creators Update will release in September 2017. Check out more details about the security features here.